When you imagine your perfect holiday do you see yourself in a warm place, surrounded by exotic landscapes, beautiful wild animals and amazing nature? Do you think of yourself as a little ‘Ace Ventura’? 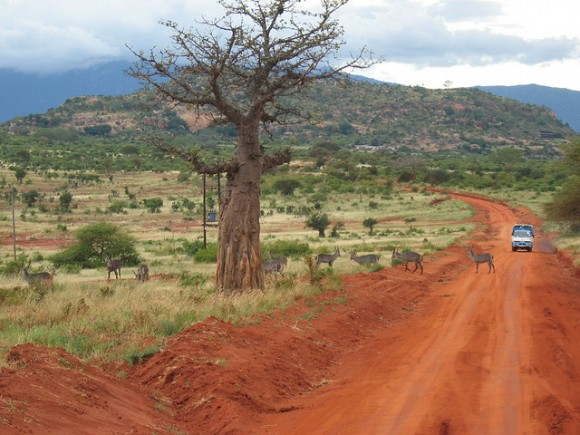 Then an African Safari is the best travel choice for you. If you are looking for a next holiday destination but aren’t sure where to go yet, consider a trip to Africa. The African continent is a vast and highly diverse area full of fascinating cultures, dramatic landscapes and amazingly beautiful animals. Also, Africa offers some of the most amazing travel experiences in the world. The first important issue that comes into everyone’s mind when thinking about travelling to Africa is a safari, followed up by so many other questions: How easy is it to organise? Where do you go and when? What about accommodation? That’s pretty normal because we are talking about a different culture and a very different life style. After you set your mind on a gorgeous African safari you must choose the ideal location. Africa’s wide range of destinations means a multitude of different holiday experiences. Among the most popular places we can include Big 5 Safaris in the Kruger National Park; wildebeest migration safaris in the Masai Mara and Serengeti; gorilla trekking in the forests of Uganda and Rwanda; beach holidays in Mauritius, the Seychelles and Mozambique; and the ultra-cosmopolitan city of Cape Town. After you have settled the destination, finding a place to stay it is a must. Luckily, Africa has a variety of resorts to choose from. From boutique guest houses and 5-star hotels to canvas safari camps and beach resorts, accommodation in Africa is suitable for every type of holiday from romantic honeymoons to sweet family getaways. For culture freak travelers a good thing to do is to explore Zanzibar, an island that is s easy to combine with a Tanzania safari. For the romantic sweeties an African holiday is just what you need to celebrate your honeymoon or just a pleasant getaway. A spa retreat in the Seychelles or a stay on a private island in the Quirimbas Archipelago would be absolutely perfect. Families are not forgotten. There are safari destinations with proper child itinerary, family beach resorts with kids clubs and golf courses. Whether you are looking for a combination tour packed with different high spots or a specialised safari in a single location, African tour operators have a huge range of holiday packages. Nevertheless, there is a tailor made tour option from every travel agency.